Squinting up from the courtyard below, Aliénor de Tournan paused from marking the symbol of her father’s house on a barrel of grapes. Her fingers tightened on the chalk as her heart clenched. She’d been waiting for her father for weeks, and every day’s delay had filled her with anxiety. But now that he’d been spotted, she shuddered under a new and different kind of fear. Waving to the knight, she shoved the chalk in her pocket and strode across the courtyard. As the only daughter of a motherless house, she would be expected to present a grand dinner, have a new wine-barrel tapped, and arrange pallets in the main hall for the returning warriors. But her wayward feet weren’t leading her to the center tower of the castle, where her true duty lay. No, they were leading her to the shadow of the stables, her beloved palfrey, and a recklessness that she would pay for later. Fumbling with the saddle, she tossed it across the back of her horse, hurrying to buckle it before the stable master saw what she was doing. Mounting, Aliénor urged the mare into the courtyard and then gave the beast a nudge before any good-hearted soul could shout for her to come back. Tearing across the open field before the castle, high on a cliff, she let the wind blow through her hair as she gazed over the rolling lands of her family’s domain. To the west lay the silver ribbon of the river Arrats, which curved its way around the castle hill. To the south she could see the faintest outline of the Pyrenees in the crystalline air. And the long, fertile valley between gleamed a pale ochre, the harvest down to stubble. Only when she reached the bottom of the hill and approached the village did she see the first bobbing spike of a blue and green banner between the half-timbered houses. Aliénor tried to count the number of mounted men, but the winding streets thwarted her. God’s Blood, she was acting as superstitious as the kitchen maids, trying to pick out the profiles of their future husbands in the hearth ashes. It wasn’t as if the total would give any hint if her father had been victorious...but his success or failure mattered. The news he brought would determine whether her future offered a fresh bridal wreath...or the cold shroud of a convent veil. The Viscount of Tournan took his time unhooking the chain-mail curtain attached to his helmet before lifting the bascinet off his head. A scarlet slash marred his cheek and nose, discoloring his swarthy, hard-planed face. He handed his helmet back to his squire as he fixed his black gaze upon her. He spurred his charger and shot past her. She breathed hard, trying to squeeze her spirit into the restraints her father demanded. Provoking him was dangerous, but she had spent the years since her father had returned wounded from the battle of Crécy studying his fluxing moods, his hot temper, and his tendency to rage. She knew his limits down to the last breaking straw. A painful buzzing started in her head. She gripped the pommel until her knuckles whitened. God’s Blood, no. She twisted on the saddle, searching the line of men behind her for beloved, missing faces while her vision went blurry. “You did not fail me, father.” But her heart was not in the words but in her mouth as she counted helmeted heads. She turned back to him. “I’m listening.” Not a man missing, it seemed, but the road was so narrow she couldn’t be sure. He kicked his charger up the steepest and narrowest part of the slope. She fell into place behind him as the implications of his news sank in. Could it be true that she wouldn’t be ushered off to a convent? Could it be true that she wouldn’t forever be a servant in her father’s house? That she would have a home of her own, where she and her brother Laurent could live in peace, safety, and maybe with even a glimmer of happiness? Reaching the top of the hillock, she thundered across the field in her father’s wake, not stopping until she reached the courtyard. She dismounted in a sliding rush, tossing the reins to a stable boy. All but dancing to the steps of the donjon—the main tower—she joined her frowning father as they watched the other knights file in. She couldn’t wait to lay eyes upon the English thief. She had a mouthful of accusations for the man who’d stolen her future one year ago, and not a single one of them was maidenly. The thief, slumped on his tethered horse, was the last to come into view. He wore a short tunic over his chain mail but the cloth was so dirty she couldn’t see the colors of his heraldry. As he was led closer to where she and her father stood, she noticed the dirt was reddish-brown. The taunting words she’d summoned stuck in her throat, followed by a deepening concern. The prisoner was barely conscious. The prisoner didn’t move. Fresh blood dripped in a rivulet over the steel of his shoes. A short, sharp quiver of fear speared through her. If the knight was still bleeding, he might very well die. Halfway down the stairs she stopped short, her blood running cold. She was all too familiar with the tone of voice. Her father swept up the stairs, his metal shoes clanking on the weathered stones. She remained where she was until the heavy oak door of the donjon closed behind him. Only then did she turn to his men-at-arms, questioning silently. To the last, they averted their gazes, busying themselves by pulling the wounded thief off the horse and carrying him, limp and dripping a trail of blood, toward the cells of the northwest tower. Her mind raced. Something terrible had happened at Castétis, that much was clear. But her father had forgotten one vital point: A dead prisoner can’t pay ransom. Jehan de St. Simon was her worst enemy. Now she had to make sure he lived. Get your copy of The Captive Knight at Amazon, Apple Books, Nook, Google Play, or Kobo today! Check out the cover of THE CAPTIVE KNIGHT! I'm so excited to bring this story, set during the Hundred Years' War--full of knights in shining armor and one very determined chatelaine--to life! Aliénor rejoices when her father captures the knight who’d seized her dowry castle as a prize of war—only to discover that the man she thought was a heartless rogue is as battered by the winds of fortune as she. Divided by an endless conflict and denied to each other by the demands of two warring kings, what hope is there for something as tender as love...? Now available for preorder at Amazon, Amazon International, Barnes & Noble, Apple Books, and Google Play! 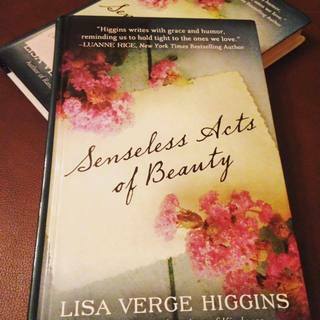 I love the latest version of SENSELESS ACTS OF BEAUTY--hardcover large print! 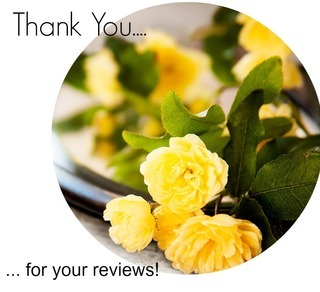 Nothing makes my day more than seeing another review pop up at Amazon, Barnes & Noble, Goodreads, or any other retailer. THANK YOU ALL for reminding me why I do what I do.